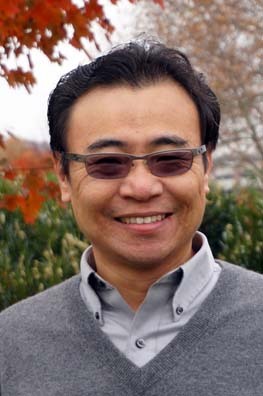 Hongmao Sun joined NIH in 2010 and subsequently NCATS as a research scientist working on informatics. He received his postdoctoral training from Garland Marshall, Ph.D., at Washington University School of Medicine. In 1999, Sun joined Hoffmann-La Roche, Inc., as a molecular modeler. In his 11-year career with Roche, Sun supplied modeling support to a broad spectrum of projects, covering such therapeutic areas as oncology, obesity, diabetes and virology. He also designed and maintained a company-wide Web page to deliver multiple predictive models he developed for absorption, distribution, metabolism and excretion — toxicity in pharmacokinetics (ADMET). Before joining NCATS, Sun spent a year at the Biotechnology High Performance Computing Software Applications Institute in Frederick, Maryland. Sun serves the boards of three journals in the field of drug discovery and cheminformatics. He holds a Ph.D. in computational and medicinal chemistry from Clark University, a Ph.D. in physics from the University of Science and Technology (USTC) in China, and a B.S. in chemistry from USTC. Sun has extensive experience in rational drug design and ADMET predictions. Trained as a medicinal and computational chemist, he enjoys collaboration with other chemists in a project setting. His research interests include structure- and ligand-based drug design, homology modeling, molecular docking, pharmacophore modeling, scaffold hopping, and virtual screening. His research also covers many cheminformatics fields, such as machine learning, algorithm development and quantitative structure–activity relationship models. Are hERG channel blockers also phospholipidosis inducers? Predictive models for cytochrome p450 isozymes based on quantitative high throughput screening data.